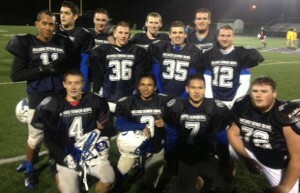 OSWEGO, NY – The Oswego Varsity Buccaneer football team was well-represented at the John Arcaro Senior All-Star game Thursday night in Watertown. Oswego Coach Frank Bahamonde lead the Oswego County team with a large contingent of Buccaneer players including: Ed Sheridan, Jake Lofthouse, Tyree Varner, Andrew Osetek, Kory McTague, Eric Doviak, Ian Hammond, Ben Davis, Miguel Guzman, Wyatt Lipinski, Armand Vooris and Aziret Nazaraliev. 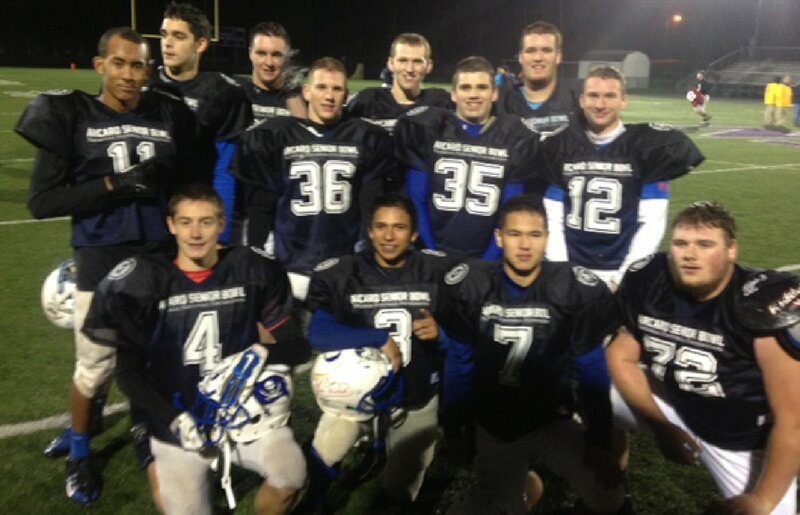 The Oswego County Team dropped a 23-19 game to the Jefferson County All-Stars. Buccaneer highlights were Voorhis returning a punt for a touchdown, Sheridan throwing a touchdown pass, Nazaraliev kicking an extra point, along with steady and hard play from all the Oswego participants.